The NHDI Year-Long Program brings weekly dance instruction to children at school, during the school day, under the direction of professionally trained NHDI teaching artists with piano accompanists. 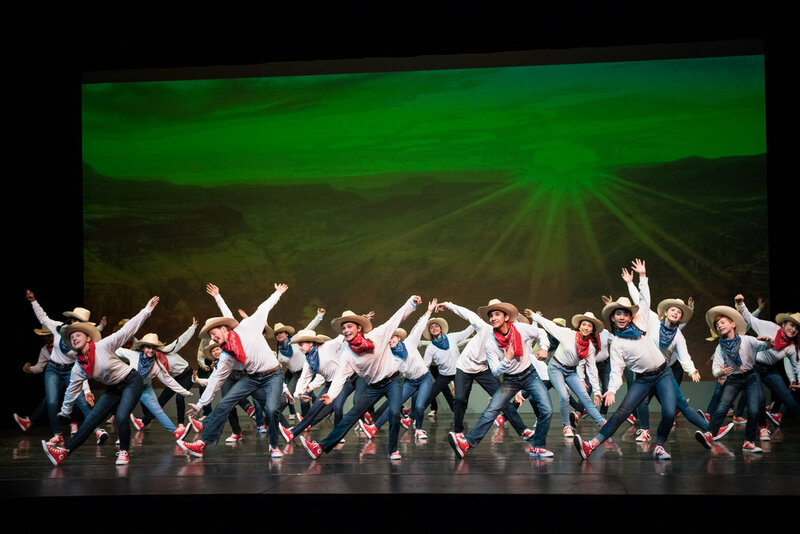 Through the rigors of dance and the energy of live music, children directly experience the value of discipline, concentration and collaboration. The sense of mastery and self-confidence that students feel when meeting a difficult choreographic challenge provides the groundwork for improved performance in other curricular areas, and in other areas of their lives. Each school year, the Year-Long Program has a curricular theme that is linked to academic subjects of students in grades four through eight. This theme serves as a springboard for a year of exploration and discovery. Past themes have included the water cycle, the wonders of the world, forms of communication, the plight of monarch butterflies, and children’s literature. For 2018-19, our theme is science based, and focused on the timely topic of the importance of bees and other pollinators to our ecosystem and food supply. The Year-Long Program culminates with the joyous annual Event of the Year performances over Memorial Day Weekend at the Redfern Arts Center at Keene State College. Students perform in Act I in t-shirts (each school/special team with a different color), jeans and sneakers. The special t-shirt design is chosen from among entries from the dancers in our t-shirt design contest. In Act II, costumes that follow the artistic theme of each dance are worn by all students with each school and Special Team in a variety of colorful and creative costumes. Each year, the Event of the Year is an original theatrical production, written by NHDI Artistic Director Kristen Leach with music arranged and conducted by Peter Mansfield, NHDI’s longtime Music Director, accompanied by a live orchestra. The professional stage at the Redfern has been the home of the Event of the Year for over 30 years, and is the cornerstone of NHDI’s commitment to giving the children of the Year-Long Program a powerful, authentic performance experience that they will remember for their entire lives. The 2019 NHDI Event of the Year — The Beekeeper — will include approximately 300 children from 12 local schools and three Special Teams coming together on one stage. Registration — CLICK HERE to register for the NHDI Year-Long Program. Payment — The fee for the Year-Long Program is $215 for the entire school year. A $50 deposit is due at the time of registration, but you may make full payment anytime if you wish. THE DEADLINE FOR REGISTRATION AND DEPOSIT PAYMENT IS FRIDAY, OCTOBER 19! Final full payment for the registration fee is due February 15, 2019. For directions on how to pay online please click here. NHDI strives to give all children an opportunity to dance. Direct financial assistance is available to eligible NHDI Year-Long Program students. To apply, please complete the simple and quick Financial Assistance Application no later than October 19. Applications received after the deadline may not be considered. The online registration form and $50 deposit must also be received for Financial Assistance Applications to be considered. In addition to the above, NHDI Year-Long Program students will also have a great opportunity to fundraise directly for their own registration fee through the annual NHDI Calendar Raffle. Children will receive tickets before the holiday break in December, and will have until the end of January to sell tickets. The raffle will then take place everyday in February with 28 days of fun, valuable prizes. Raffle tickets are $5. For every ticket sold, $5 is subtracted from the student’s registration fee. Many students are able to fund their entire registration fee using the sale of raffle tickets! If you have questions about the NHDI Year-Long Program at your child’s school, you may contact the School Coordinator directly (see below), or contact the NHDI Office at nhdi@nhdi.org.